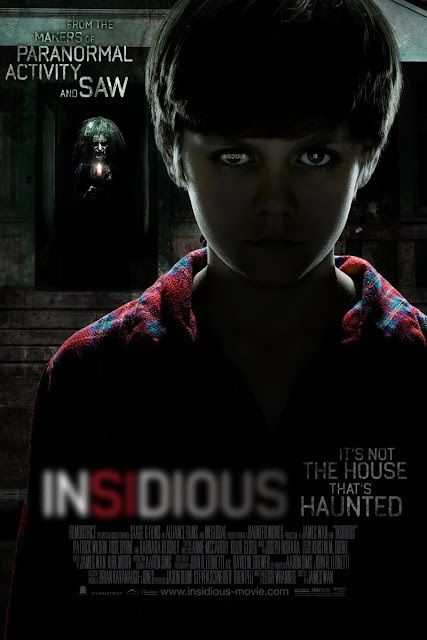 After moving into a new home, strange things start to happen to the Lambert family, primarily to their eldest son Dalton (Ty Simpkins). When Dalton falls off a ladder in the attic and bumps his head, at first he seems okay, but the next morning, he does not wake up. His parents Josh (Patrick Wilson) and Renai (Rose Byrne) rush him to the hospital where it is believed he is in a coma. None of the doctors can actually figure out why this has happened, and no one seems to be able to help Dalton recover. After Renai starts to see weird faces and people in their home accompanied by voices on the baby monitor, they up and move houses, which does not end the horrors she sees and hears. They contact Elise Rainier (Lin Shaye), a medium, who informs them that it's not the house that's haunted, but their son himself, and that Dalton has a unique ability to astro-project himself into a realm called "The Further," where he has become lost, and may never be found. Lots of people like this movie, but we don't get the hype. It's an underwhelming PG-13 horror movie that could be immensely helped with an R-rating, even though it made bank. This movie primarily relies on jump cuts for its scares, and though there is some very well done, creepy makeup work at play, the ghosts don't seem to have a purpose in the film. James Wan LOVES Patrick Wilson, and he has sort of become the unofficial go-to horror movie actor as of late. The acting overall is fine, but nothing special, and there are no real "AHHHHHHHHHH" moments. The whole movie isn't overly creepy, no tension, no real scary drama, and not a lot of danger for the characters until the end...it's not like ghosts are threatening or endangering their lives that much. The only cool scene in this movie is the one with the gas mask. After seeing "Saw" and "The Conjuring," we know James Wan is capable of creepy, scary horror movies, if he would just learn to stick with an R-rating. Although, I'm sure he's not complaining since "Insidious 2" just made a stellar $41 million its first weekend in theaters.